Humans are caught—in their lives, in their thoughts, in their hungers and ambitions, in their avarice and cruelty, and in their kindness and generosity too—in a net of good and evil. ...We have only one story. All novels, all poetry, are built on the never-ending contest in ourselves of good and evil. And it occurs to me that evil must constantly re-spawn, while good, while virtue is venerable as nothing else in the world is. I haven't read Steinbeck since high school when I was depressed for a week upon the completion Of Mice and Men. I'm happy to say that a revisit to Steinbeck's work was all I hoped it would be; moving, intriguing, and just plain enjoyable. I've had East of Eden on my shelf unread for at least a year and a half, mostly due to the sheer weight of the novel. Steinbeck called East of Eden his magnum opus, stating that everything he ever wrote was "practice" for this book. The novel itself is a retelling of the story of Cain and Able and as a whole emphasizes the idea of free will, that each person has control over his or her destiny. It doesn't matter where you come from or your bloodline, you have the ability to choose to lead a good and respectful life. Of course we can't all be vitreous all the time; we shift and change identities over time, as do Steinbeck's characters. 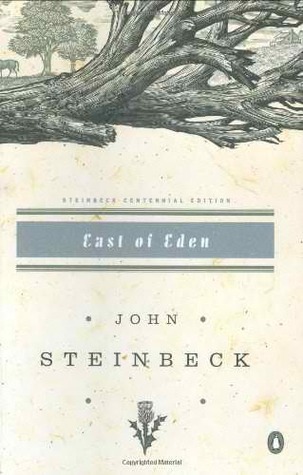 Although this is a retelling of a popular Biblical story, Steinbeck puts his own spin on it, encouraging the reader to sympathize with Cain (Cal). He emphasizes the struggle of the self caught "in a net of good and evil" and examines the human desire to be loved. In one of the most memorable scenes in the novel, Lee, Samual and Adam analyze a passage from Cain and Able's story when they are working to name the Trask twins. For if 'Thou mayest'—it is also true that 'Thou mayest not.' That makes a man great and that gives him stature with the gods, for in his weakness and his filth and his murder of his brother he has still the great choice. He can choose his course and fight it through and win. However, it seems Steinbeck also challenges this idea through the character of Cathy, whom was said to be "born a monster." Talk about a crazy, manipulative woman, Cathy is a character who represents pure evil. We do see glimpses of the human Cathy, but she seems to be driven by a dark force greater than her own free will. She's cruel, she has a heart made out of steel, and she's altogether fascinating. Cathy's character encourages the reader to question whether monsters are born or created over time. Upon a little research while reading the novel I discovered (or rather confirmed what Clinton told me) that Cathy was modeled after Steinbeck's second wife, Gwyn Conger, a woman who turned into a heavy drinker five years into their marriage; she slept until noon, shamelessly flirted with other men and left Steinbeck after his best friend died. Furthermore, she kept him from seeing his sons for years afterward. Steinbeck wrote East of Eden as a message to his boys, hoping that as they grew older they'd read it and gain valuable life lessons. Needless to say, I was not at all disappointed with East of Eden; Steinbeck's prose is straightforward and his setting rich. 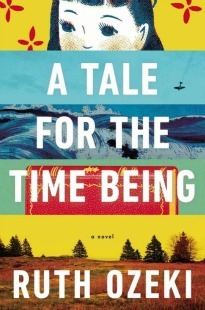 The novel spans three generations of two families and although it's a thick book, it is not at all hard to follow and reads a lot quicker than I thought it would. I have to admit that while I'm familiar with the story of Cain and Able, I've never read it first hand so there are probably a good amount of religious symbolism and allusions that went over my head. Even still, I really enjoyed this novel. It delights and engages from start to finish. I can't wait to hear what you think! I've got a feeling you're really going to like it. I'm so happy you liked it! East of Eden is one of my favorite books of all time. It seems to be a favorite for a lot of people! I'm glad to hear the novel isn't hard to follow and is a fairly quick read. And of course that you enjoyed it. I want to try this but it intimidates me. I need to get over that. I felt the same way about it for a long time, which is why it sat on my shelf forever. This is such great book. It is my husband's favorite and I loved it as well. It really was. I need to work more Steinbeck into my reading. I read East of Eden a couple of years ago and was very pleasantly surprised at how much I enjoyed it and found it a reasonably quick read (despite the length) - I had thought I didn't really like Steinbeck, but reading this one made it clear to me why he is so great. I even found parts of it funny, and I loved the way he told the story and the symbolism/allusions. Yes I was surprised at how quick it moved too! It's such a long, heavy book but when reading it didn't feel that way at all. I loved this book so much; the audio is fantastic as well. I always forget about audio! Yea! So glad you liked it. It's one of those novels that's a benchmark for me. People who "get" it are in. ;) Ok, not really, but still, it's nice to see it so appreciated. It's absolutely fantastic and one I need to re-read soon. Definitely. I liked it a lot, more than I thought I would. It's interesting to see the cycles of books that go through the blogging wheel. It seems like East of Eden has been slowly gaining steam for a very needed re-read by more and more bloggers. That being said, I really enjoyed your review and it will likely bump the book up another slot on the TBR list. Thanks! Great review. There are very few Steinbeck stories that I've read and haven't enjoyed thoroughly. I really like this one, too. I always feel so happy when one of the book bloggers reads East of Eden! Great review! I'm so glad to know I'm not the only one who was scarred by Of Mice and Men. I haven't been brave enough to revisit it yet, so maybe I should. And I really appreciate this review because I've heard that East of Eden is good, but had no idea what it's about. So thank you! I hated Of Mice and Men (wanted to throw it UNDER a garbage truck) but I'm keen to read this one. I picked it up and read a chunk several years ago, but life got in the way. Definitely interested in exploring more of Cathy's character. Like Andi, I also hated Of Mice & Men, but I absolutely LOVED Grapes of Wrath. It is one of my favorite books. I have been eager to read East of Eden, but I just haven't made it a priority yet. Maybe this s the year?